A Sneak Peek – Emma & Pete got Married…and it was AWESOME! It’s a bit unconventional for me to do two posts on a Sunday, but I just had to pop by and share a few sneak peeks of where I was last night. Emma & Pete got married! Halfway through the night, the couple disappeared, got changed (Emma into a stunning vintage dress from Fur Coat No Knickers) and got married right in front of us. I cried like an actual baby. In November I received an email from Bran Cook (PR extraordinaire) to ask if I’d be interested in being one of the attractions at a brand new wedding fair she was helping Rachel of Rachel Simpson Shoes and Clare Guest of The Wedding Club (a fabulous bridal boutique in Birmingham) to organise. At first I was a little confused. What would they want me there for? Who would want to come see me at a wedding fair? What would I even put on a wedding fair stand?! However I bit the bullet and said I’d be there with bells on…big pink ones. Over the next few months I received regular updates (both via email and on The Designer Vintage Bridal Fair blog) about all the amazing suppliers that were getting involved with the show and my initial uncertainty and nerves turned to utter excitement! I had basically signed up to hang out at the beautiful Highbury Hall in Birmingham with a load my favourite wedding suppliers for a WHOLE WEEKEND…woohoo road trip! I even booked into a hotel with my girls Lucy of Lucy Ledger Designs and Debbie of DC Bouquets which further transformed the weekend from a ‘business trip’ into a fabulously giggly and gossipy girls weekend (and yes we did lie in bed until 3am chatting and laughing uncontrollably!) And I call this ‘work’ right?! My girls, room-mates and gossip buddies – Debs & Lucy! In November I received an email from Bran Cook (PR extraordinaire) to ask if I’d be interested in being one of the attractions at a brand new wedding fair she was helping Rachel of Rachel Simpson Shoes and Clare Guest of The Wedding Club (a fabulous bridal boutique in Birmingham) to organise. At first I was a little confused. What would they want me there for? Who would want to come see me at a wedding fair? What would I even put on a wedding fair stand?! However I bit the bullet and said I’d be there with bells on…big pink ones. Over the next few months I received regular updates (both via email and on The Designer Vintage Bridal Fair blog) about all the amazing suppliers that were getting involved with the show and my initial uncertainty and nerves turned to utter excitement! I had basically signed up to hang out at the beautiful Highbury Hall in Birmingham with a load my favourite wedding suppliers for a WHOLE WEEKEND...woohoo road trip! I even booked into a hotel with my girls Lucy of Lucy Ledger Designs and Debbie of DC Bouquets which further transformed the weekend from a ‘business trip’ into a fabulously giggly and gossipy girls weekend (and yes we did lie in bed until 3am chatting and laughing uncontrollably!) And I call this ‘work’ right?! Aaanyway, needless to say I haven’t felt much like taking pretty pictures this week, so instead I though I’d use this edition of Photography Friday to direct you towards a project set up by some of my favourite girls – Emma Case, Anna Hardy, Debs Ivelja and Joanna Brown. The project is called From Our Hearts to Our Hands. The first task set by the girls is to take a photographthat says “From our Hearts.” You don’t have to be a professional photographer to be involved, so as soon as I’m feeling better I’m totally getting on board with this and joining in!I can’t wait to see how this group progresses. I have a feeling it’s not only going to be massively successful, but it’s going to be a pretty creative and fun place to hang out too. I’m there! Those of you that follow me on Twitter, will know that I've had a bit of a rough week. Being a work-a-holic is often not so good for your health and (yet again) my body has screamed 'arrrgh, need to rest' and I've contracted glandular fever or tonsillitis (the doctors have done a blood test to see which one, if either, it is.) Aaanyway, needless to say I haven't felt much like taking pretty pictures this week, so instead I though I'd use this edition of Photography Friday to direct you towards a project set up by some of my favourite girls - Emma Case, Anna Hardy, Debs Ivelja and Joanna Brown. The project is called From Our Hearts to Our Hands. Back in the Summer I was asked by Wedding Ideas Magazine, who originally featured Gareth & my wedding waaay back in 2008, if we would like to take part in a Real Life Weddings Revisited feature. Being a huge poser, I of course jumped at the chance (and Gareth came along for the ride – again – too!) I also thought it would be a nice opportunity to share our wedding with all the new readers of the blog who probably won’t have seen it before. As you can see, our wedding certainly wasn’t the most Rock n Roll out there. 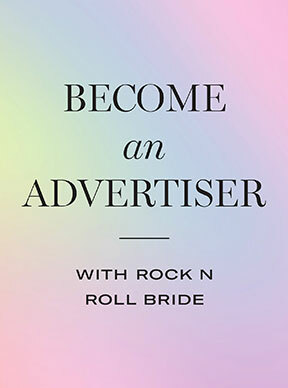 The wedding industry in the UK was a very different place in 2008, and my disillusion with most of the choices that were offered to us at that time was actually the catalyst for starting this blog and campaigning for alternative weddings everywhere! What a difference 3 years can make huh? I loved our wedding. It was perfect for the 2008 Kat & Gareth and was no doubt the best day of my life. My dress was gorgeous, my husband was perfect and our photographer’s were the sweetest ever. My Mum made our gorgeous cake and I spent hours over our DIY stationery. However I hated my flowers and I felt the cheesy covers band were an utter waste of time (and money!) – but nothing’s perfect hey? And you know what, on the day the little details didn’t matter. I was just so excited to be getting married and seeing this article brings it all back! Our article is out in the Feburary issue of Wedding Ideas, available nationwide from January 26th! Wow. How different do we both look?! Gareth has long hair now and I’m a permanent pinky! Kat and Gareth became Mr and Mrs Williams on the 12th April at Greyfriars church in Reading and held their reception at the The Elvetham, Hartley Witney. Incredibly, Kat originally struggled to fall in love with her Sottero and Midgley gown – “It was the first dress I didn’t hate” – but now has a wonderful working relationship with it. “It must be the most worn wedding dress ever! In my job as a wedding blogger, I’ve done so many photo shoots since the big day.” When it came to the budget, this contemporary couple kept costs down by having some of their friends perform rock versions of hymns during the service – a detail we particularly loved! You can see more on our wedding right here and the full photo shoot of Gareth & I here! Back in the Summer I was asked by Wedding Ideas Magazine, who originally featured Gareth & my wedding waaay back in 2008, if we would like to take part in a Real Life Weddings Revisited feature. Being a huge poser, I of course jumped at the chance (and Gareth came along for the ride - again - too!) I also thought it would be a nice opportunity to share our wedding with all the new readers of the blog who probably won't have seen it before. What a difference 3 years can make huh? As you can see, our wedding certainly wasn't the most Rock n Roll out there. 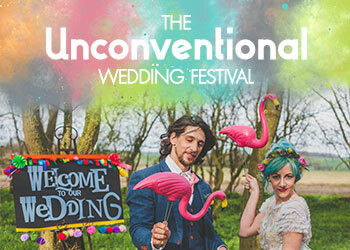 The wedding industry in the UK was a very different place in 2008, and my disillusion with most of the choices that were offered to us at that time was actually the catalyst for starting this blog and campaigning for alternative weddings everywhere! When photographer Emma Case emails me with “eeek’s!” and “wooohoo’s!” when talking about her latest wedding I stand by and prepare myself for greatness. I am SO EXCITED to share Debs & Richie’s wedding on my blog as not only did I blog their fabulous engagement session just before Christmas, but they used Rock n Roll Bride as inspiration for their awesome vintage wedding. Debs loved collecting all the little bits and pieces in the run up to their wedding. Her vision was an eclectic mis-matched one, with the reception tables full of items they had collected themselves. Debs wore a vintage dress which she found in a charity shop for just £15! She even got to meet the original owner of the gown and she her wedding photographs! What a magical moment that must have been! The ceremony took place at Park Circus in the West End of Glasgow, with the reception being held at Cail Bruich Restaurant in Bridge of Weir. The restaurant not only had a gorgeous scenic view, but vintage and retro touches throughout which perfectly matched their theme. Finally, Debs & Richie found the fabulous Emma Case through her first ever feature on Rock n Roll Bride. Long time readers of the blog will remember this gorgeous ‘Second Time Lucky’ wedding that I posted back in October 2009 – the first time I was introduced to her work. Who could have known back then that we would become such good friends!? Aww I love blogland! Serious love for Debs & Richie over here! When photographer Emma Case emails me with "eeek's!" and "wooohoo's!" when talking about her latest wedding I stand by and prepare myself for greatness. I am SO EXCITED to share Debs & Richie's wedding as not only did I blog their fabulous engagement session just before Christmas, but they used Rock n Roll Bride as inspiration for their awesome vintage wedding. 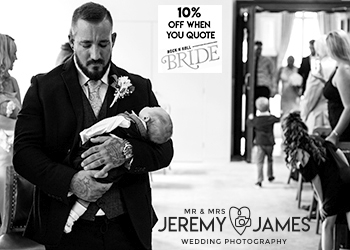 "When Richie & I got engaged we did not have a clue what we wanted our wedding to be like, all we knew was that we wanted it quite small, with only close family and friends, good food, good music, and wanted it to reflect on us as a couple as much as possible. Our budget was small and we began to panic! How are we going to manage to create a wedding on such a small budget, that's when I turned to the Internet and found a number of wedding blogs (Rock n Roll Bride was one of the first) that gave me loads of inspiration on how different weddings can be, and how much of your own personality you can add to your special day! I became obsessed with the blogging world, I had bookmarked hundreds of images made folders upon folders and my inspiration began to expand." It’s the 1st of Decemeber, and what better way to start of this freezing month than a chilly but beautiful British engagement session? Everyone knows I am Emma Case’s biggest fan, and engagement sessions like Debs & Richie’s are the reason why. Quite apart from the trademark Emma Case gorgeousness, this couple are just too cool for words. Faux fur in leopard print, denim turn ups and helium balloons all make me smile. It's the 1st of Decemeber, and what better way to start of this freezing month than a chilly but beautiful British engagement session? Everyone knows I am Emma Case's biggest fan, and engagement sessions like Debs & Richie's are the reason why. Quite apart from the trademark Emma Case gorgeousness, this couple are just too cool for words. Faux fur in leopard print, denim turn ups and helium balloons all make me smile.